Jay M. Herman | Ruskin Moscou Faltischek, P.C. Jay Herman serves as special counsel to Ruskin Moscou Faltischek in the Tax Certiorari Practice Group. Mr. Herman understands the intricacies of complex tax certiorari and condemnation issues. He has successfully handled and argued complex appeals affecting tax certiorari and condemnation valuation issues, attorney/expert fees, assessor depositions, discovery issues, and the legality and enforcement of settlements. Mr. Herman, has been involved in complicated equalization or ratio issues, as well as equal protection and due process claims, and has successfully represented clients at hearing before the New York State Board of Real Property Services regarding equalization rates. Mr. Herman began his career as an assistant county attorney and a deputy county attorney in the Office of the County Attorney of Nassau County, Tax Certiorari and Condemnation Bureau. He also was an assistant corporation counsel for the Law Department of the City of New York in the Income and Excise and the Tax Certiorari Departments. Mr. Herman is a member of the Nassau, Suffolk, and Westchester County, and New York State Bar Associations and serves on their Tax Certiorari and Condemnation Law Committees. 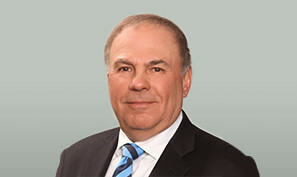 He also is a member of the Long Island Builder’s Institute (LIBI), the Long Island Real Estate Group (LIREG), and serves on the board of directors of Action Long Island (ALI) where he is a member of the ALI Steering Committee and the chair of the ALI Small Business and Economic Development Task Force. Jay has served as chairman of the Nassau County Bar Association’s Committee on Tax Certiorari and Condemnation and as vice chairman of the Suffolk County Bar Association’s Committee on Tax Certiorari and Condemnation Law. He frequently lectures on tax certiorari and condemnation issues to members of the Bar Association and Assessor Associations as well as to business leaders and homeowners. Mr. Herman was honored in 2005 by the American Heart Association. Mr. Herman is a partner at Herman Katz Cangemi & Clyne, where he also practices tax certiorari law.